Wave the scarf of this 50s Babe Child Costume to signal the start of the hot rod drag race this Halloween. 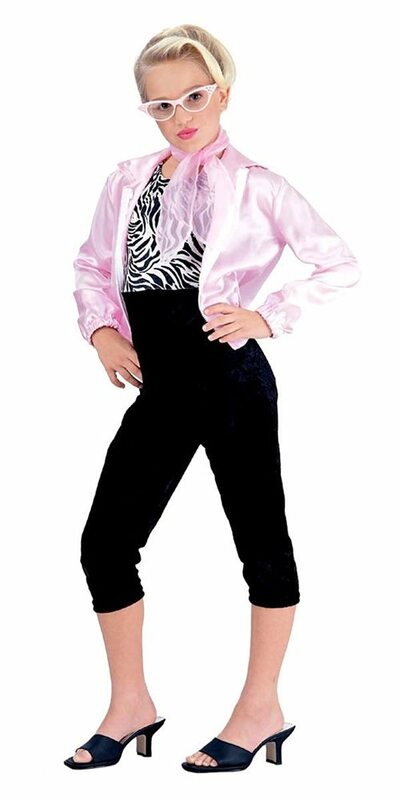 The 50s-inspired girls costume includes a jacket, jumpsuit, and a scarf. The costume jumpsuit features a zebra-print top with attached black bottoms. The pink satin jacket features elastic wristbands. The pink scarf adds a little flare and completes your transformation into this 50s babe.